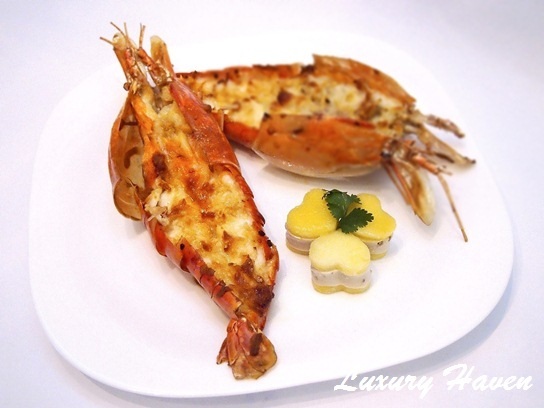 Enticing Baked Cheesy Jumbo River Prawns, Thanks To Oceana Seafood! 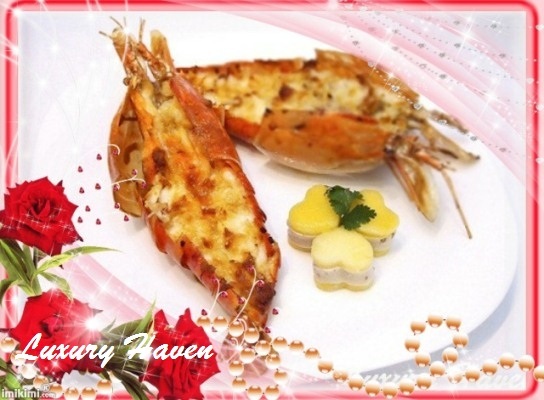 You are here:Home » Valentine's Day » Enticing Baked Cheesy Jumbo River Prawns, Thanks To Oceana Seafood! Fish Fillets, Squids, Tiger Prawns, Mussels, are just some of the seafood you can find at #Oceana Seafood. 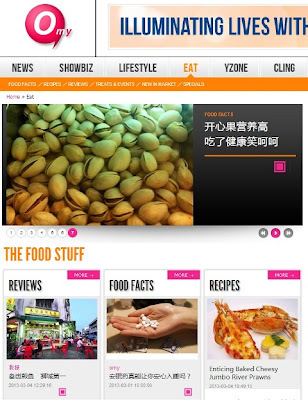 A major supplier & distributor of quality seafood in Singapore offering service with quality, Oceana Seafood has a strong aficionado ranging from wholesaler, concept restaurant chains to fine dining establishments. 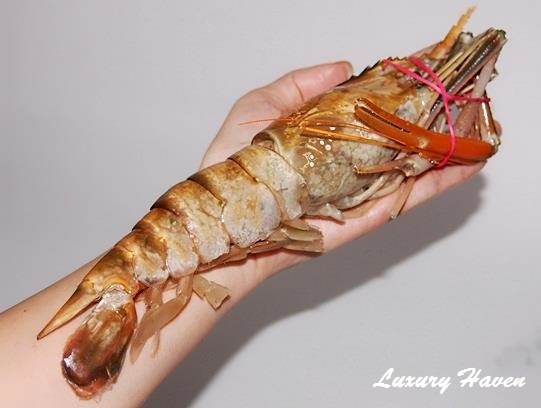 You’ve probably seen these jumbo River Prawns in restaurants or places like the notorious Singapore Newton Circus Hawker Centre, or in countries such as Thailand where River Prawns are popular. 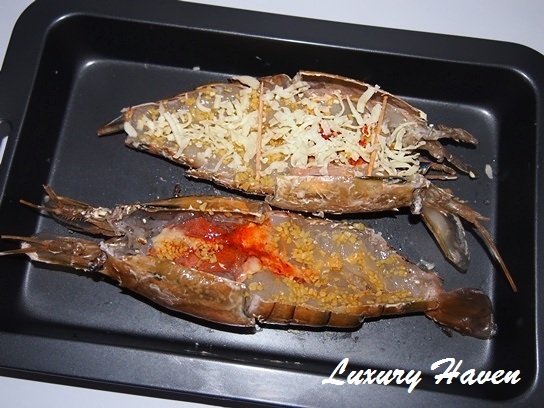 But just look at the size of the Jumbo River Prawn, and the good people of Oceana Seafood just sent me a huge bag of these giant-sized prawns! I was certainly thrilled to receive these monster delicacies from Oceana Seafood, with sizes as big as my dinner plate! These came just in time for Valentine’s Day, which I’d prepared these succulent & delish Baked Cheesy Jumbo River Prawns to #cookforfamily, simply pairing them with some gourmet Walnut Cheese & Mango! I’d wanted to bake 3 of these giants for each of my guests initially but due to their monstrous sizes, I decided to cut down to 2 each; keeping the rest for perhaps a steamboat session sometime soon. Oh, and do not dispose their “claws”! All you need to do is smash them up to expose their delicious meat & dump them into a fondue like what I did. They’re deliciously tasty when dipped into an Anchovy Garlic Fondue! Bon Appetit! 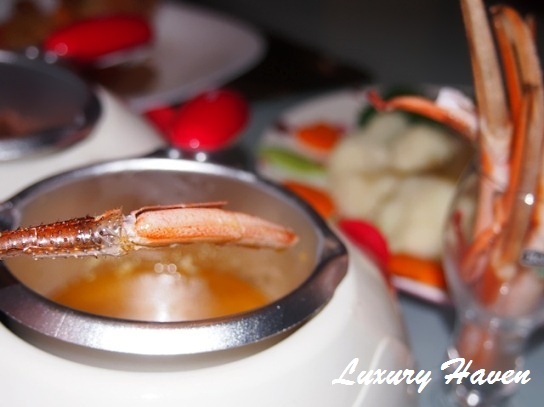 Check out my Anchovy Garlic Fondue session with these juicy claws! Thanks to Oceana Seafood for this Part I on the eve of Valentine’s Day, & I was off to celebrate my Part II the next evening! 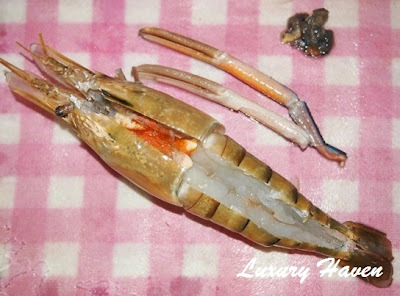 Monster river prawns... early in the morning... You really know how to make a person hungry, Shirley! Lolol <3 Your husband and son is one lucky husband and son hahahaha! DS, awesome! I've always wanted to try prawning with my son. Chilli crab style sounds good too! Anchovy garlic fondue? You will catch me in a trap with that! Wow, this looks so delicious, I love shrimp! Hope you had a good valentines day! 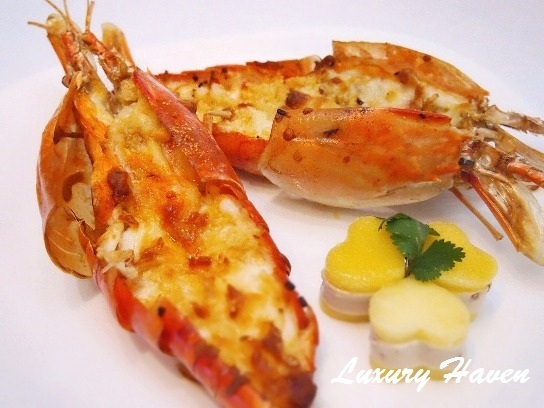 YL, u'll love these juicy prawns! Hahaha! Hi Shirley, Wow! 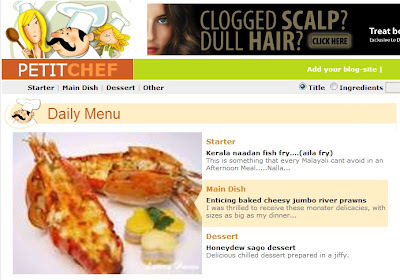 I sure love this big prawns....and your this dish looks sinfully delicious! Looks so succulent.....I can just imagine the lovely scent. I guess I will want a second helping, ha ha. Shirley, under different circumstances, ladies like you are dangerous to bachelors....eat these and they'll marry the cook, ha ha. And if not for a woman's cooking I would not have lost my bachelor's degree. Have a great week, keep a song in your heart, and stay beautiful. Uncle Lee, u're real funny! Love your wit & thks for coming by! U have a good week too! Making me drool now, Shirley!! 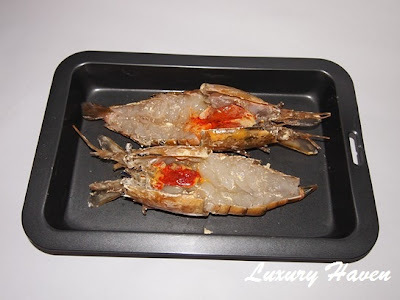 I definitely will use fingers to eat these... lol..
What an easy but super yummy and elegant way of serving prawns! Love this, Shirley! Tina, it's great having another prawn lover here! Wonder what's cooking up in Texas? Shirley, some of the reasons I love reading your blog are: 1) You teach how to make something completely unfamiliar (to me) and make it look easy; 2) Your attention to garnishes is amazing (loved the veggie plate and also the little hearts you served with the main course); and 3) Your photos make me want to eat this for breakfast! The close-up of the fondue (below step #8) really ought to be submitted to Taste Spotting or Food Gawker. Beautiful! Man, I've never seen such huge prawns! What a treat!!!! Liz, these prawns are humongous! Lol! What a gorgeous way to prepare prawns...delightful! Hope you had a wonderful Valentines Day sweetie! Lovely way of preparation with the prawns. Tempting and splendid indeed. omg.....its my hus fav.he just craze abt prawns n dis luks really awesum.vl try 4 him.than u so much. Oh Shirley, these looks so amazing! I want some too. Trishie, thks! Can't get enough. Heehee! Amelia, welcome to the "prawny" club! Hahaha! These look so good Shirley! When I was in hong kong I had grilled seafood with cheese and it was delicious so I will definitely give this a go. 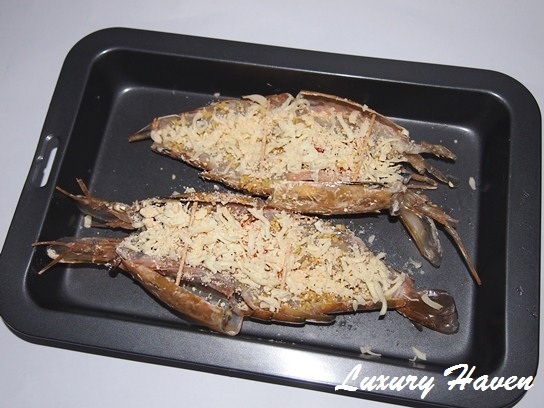 Hamilton, I would usually grilled my prawns with garlic but this is my first baking them with cheese. I'm glad it turned out well. Have a wonderful weekend, dear! Hong, hahaha! That's true, gotta watch out weight! Lol! gosh, i just imagine sang har noodle just by looking the photograph of that giant prawn!